Home > Support Articles > Public Folder Sync > Android App to View an Office 365 Public Folder? 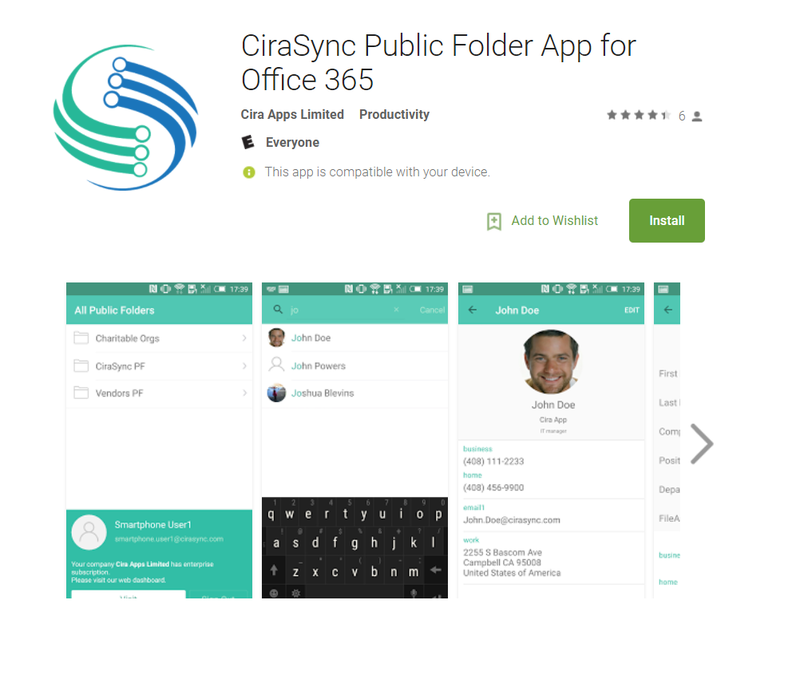 CiraSync’s free Office 365 app to view shared calendars and Public Folder contacts is now live. We constantly tell our prospective customers that they don’t need an Android app to view Folders — our software syncs public folder contacts and public calendars to Outlook via the Exchange Server. There is no need for Desktop software or smartphone software. Inexplicably, we have developed and published an Office 365 Android App to deliver exactly what we said wasn’t needed! Check out the iOS version here. In the past, edits and additions to the public folder had to be done from a desktop running Outlook, or OWA. With this new Office 365 app, you can directly edit them.